Eclectic generally recommends that the DuoGen is used in conjunction with a regulator. However it is important to be aware of their limitations. 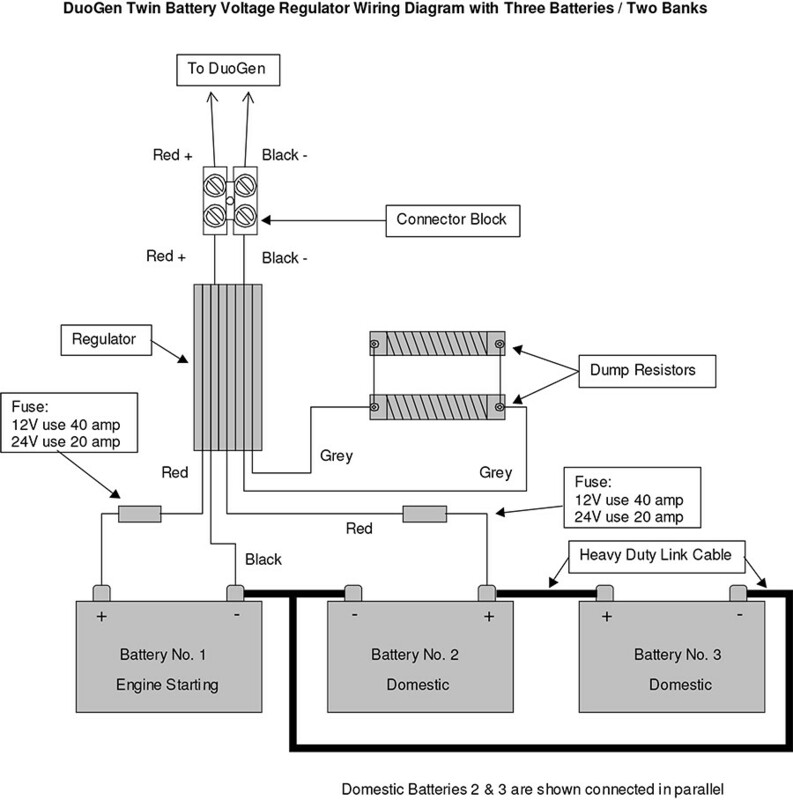 As regulators work by sensing battery terminal voltage, any other device that raises that voltage, such as a solar panel, can cause the regulator to dump power prematurely. For this reason, where possible, a single regulator should be used. The regulator usually supplied with the DuoGen is rated at 40 amps (12V) or 20 amps (24V). As well as the DuoGen, the regulator will also accept the input of up to 140 watts of solar panel. If this is not practical, an alternative solution is to install the regulator with a bypass switch. On passage when you can monitor the system, bypass the regulator and avoid unwanted dumping of power. When you leave the boat, switch it back on. Note that where a bypass switch is fitted, the charge splitting function of the regulator is also bypassed when the switch is activated. We recommend that the bypassed output is fed to the largest bank (usually the service batteries). Alternatively, a dedicated charge splitter can be installed to distribute the unregulated output across two banks.